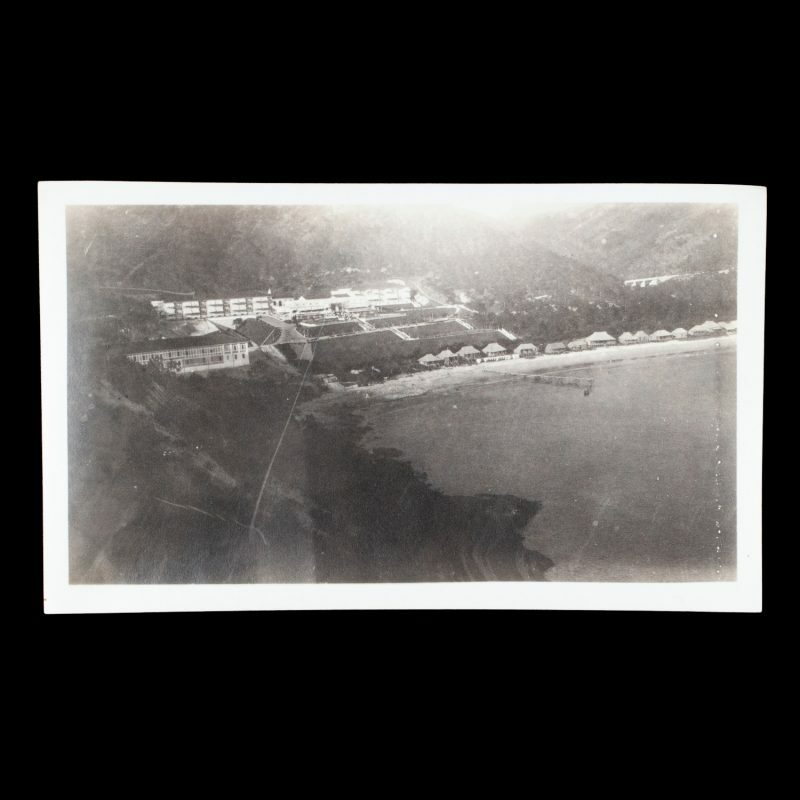 Photograph of the Repulse Bay Hotel, Hong Kong, circa 1930. 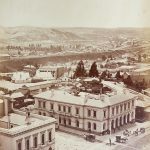 Original gelatin silver print on matte paper, 80 x 130 mm; taken by an unidentified amateur photographer, inscribed in ink verso: ‘Repulse Bay with Hotel in background. 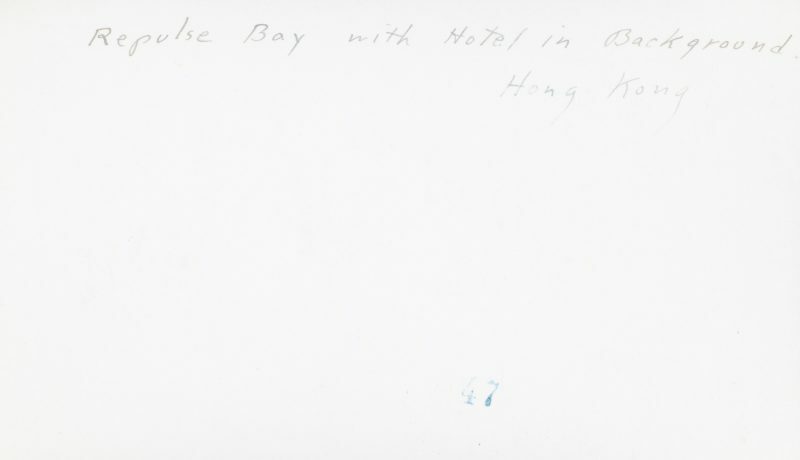 Hong Kong’; fine condition.